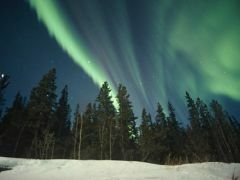 Aurora Viewing, the highlight of a Yukon winter, has inspired myths, cults and ancient believes forever. 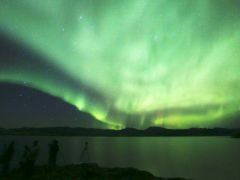 Spend a northern night with experienced guides, book your personal viewing site and cabin or go on a multi day Aurora Hunt. You will get rewarded with ever lasting memories. 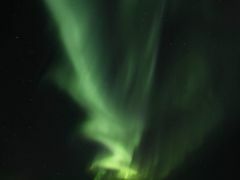 Join us at our well placed viewing site, 20 minutes outside of Whitehorse. 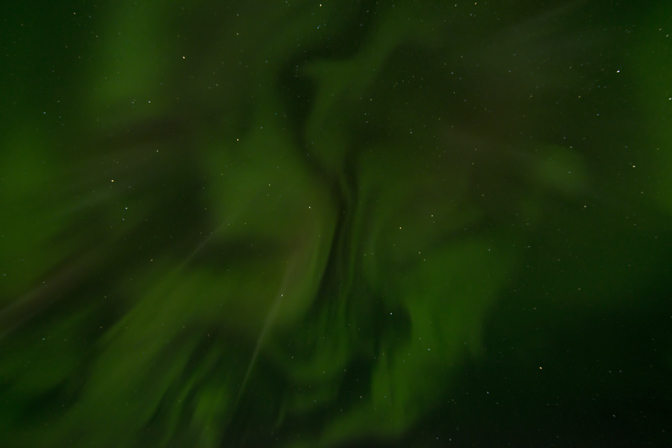 No city light pollution, but an open view to the North awaits us here. Comfortably heated theme tent cabins let you step back in time to see how trappers made their living. 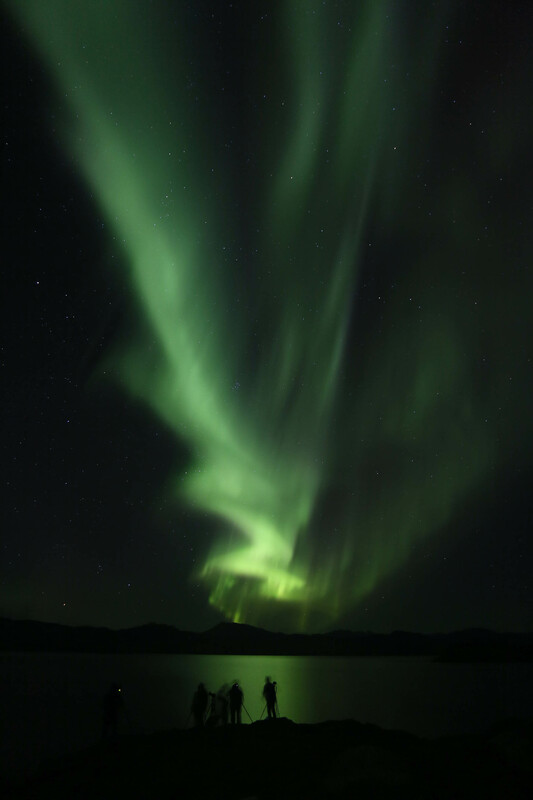 Knowledgeable guides will help you with all your question whether they are in regards to the Aurora, the Yukon or your photo settings. Snacks and hot drinks are provided all night long. Pick Up: 9:00 pm from Whitehorse location and transfer to Trading Post site. 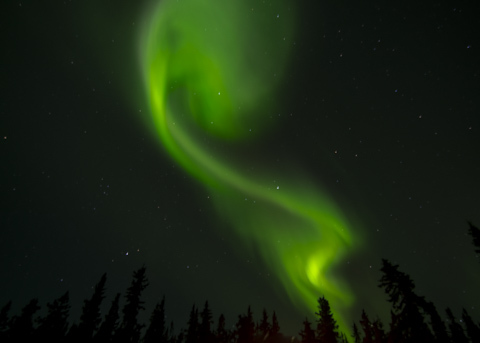 Due to its northern location the Yukon offers prime aurora viewings opportunities. Whitehorse is proud of its excellent infrastructure and welcoming people. 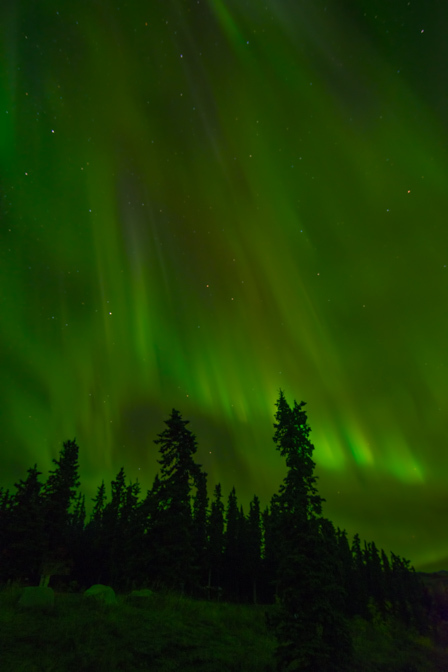 Hotels, restaurants, shops and theaters as well as a bunch of day time activities will round up your Yukon winter experience to the most memorable vacation ever. 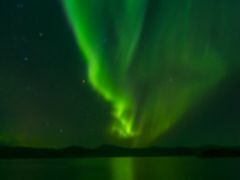 For best viewing experiences it is imperative to get away from the city to see the aurora displays without any light disturbances. Choosing a country accommodation will give you this. The optimal viewing months are when the night sky is dark. In the Yukon that is from late September through to mid-April. 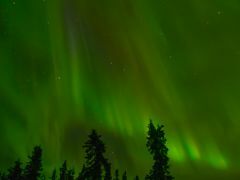 Book your Aurora Nights now! An overnight at your Personal Viewing Site. 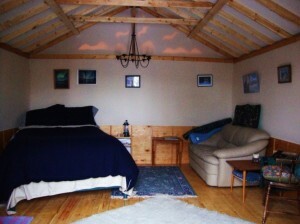 This well-equipped, aurora viewing facility offers the experience of wilderness in a comfortable stylish place. You stay cozily warm inside the well-insulated, traditional wall tent with an authentic wood stove. No electricity or appliances humming away. 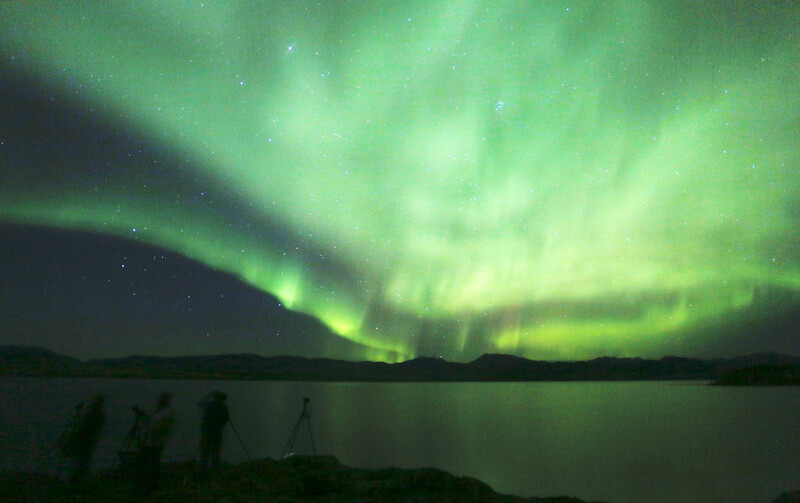 Step outside anytime you like and watch the Northern Lights dotted with tiny stars. 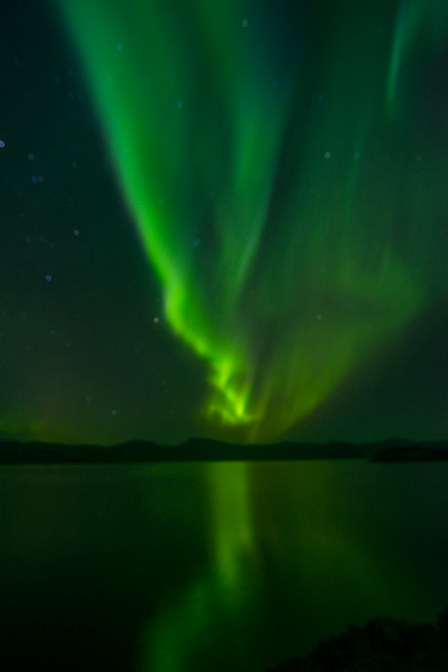 An outside fire helps you stay warm while taking photos or just getting lost in the lit up sky. Whenever you like you can choose to retire to you comfortable bed and sleep the rest of the night way. You will be greeted in the morning with a filling breakfast delivered directly to you cabin. Pick Up: 9:00 pm from Whitehorse location and transfer to Caribou Camp site. 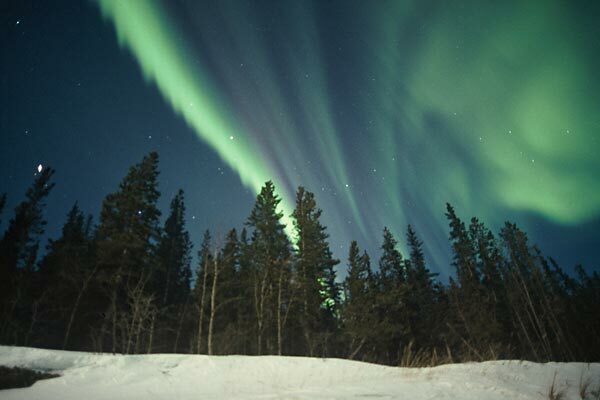 At our Aurora Camp, 25 minutes north of town, the northern lights will be visible from the deck of your own lodgings. Your get-away ranch is located at beautiful Fish Lake, surrounded by majestic mountains. We have an authentic and cozy Mongolian Yurt waiting for you, situated up a small rise in a clearing, far far away from any light pollution and with beautiful views of the valley. The yurt is equipped with cooking facilities, a Queen sized bed, a private fire pit and your 5 star outhouse! You will be cooking your own meals, so bring on the good soul food. You will be mushing your own dog team, driving on a snow machine and hunting for the majestic lights, so bring a healthy fitness and joy to be out with us, the dogs and the wilderness. Arctic Outerwear on activities included. 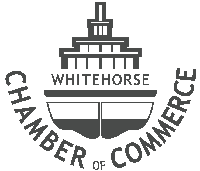 Pick Up: Pick up from your Whitehorse location and transfer to the Ranch site. 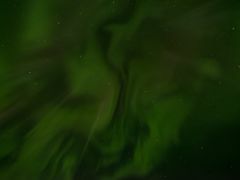 This adventure will take place in the beautiful wilderness that is the Yukon! Up upon the mountains and away from all city lights, cell reception and office calls. There’s no better way to ease the stresses of everyday than to soak in natures beauty. Put an ‘out of office’ reply on your emails and forward your phone to voice mail, you’re going to spend sometime getting down and dirty with nature! The optimal viewing months are when the night sky is dark.